The Orlando SunRays were up by two in the eighth inning, but the bases were loaded. To get out of the jam, SunRays manager Ron Gardenhire called on his closer Greg Johnson. By that mid-July game, Johnson had already racked up 16 saves. By the time he was done on this night, he had his 17th, according to The Orlando Sentinel, Johnson got out of that eighth inning and then finished the ninth for the SunRays win. Johnson used that success at Orlando to soon move up to AAA Portland. For Johnson, though, AAA would be as high as he would get. He played seven seasons as a pro, never making the majors. Johnson's career began in 1987, taken by the Astros in the 19th round, out of Middle Tennessee State. At Middle Tennessee, Johnson picked up 19 wins and 177 strikeouts over his three years at the school, both still 10th overall in school history, according to the school's media guide. With the Astros, Johnson started at short-season Auburn, getting 24 relief outings and posting a 3.88 ERA. 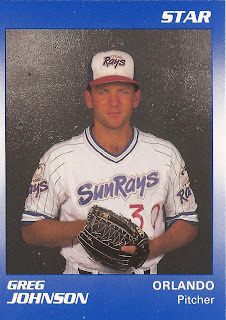 He moved to single-A Asheville for 1988, getting into 44 games there, with an ERA of 4.48. Johnson returned to Asheville for 1989, also getting his first look at AA Columbus. Between the two, he posted a 2.60 ERA, with 20 saves. The 1989 performance was enough to catch the eye of the Twins, who selected Johnson in September as the player-to-be named in an earlier deal that sent Mark Davidson to the Astros. 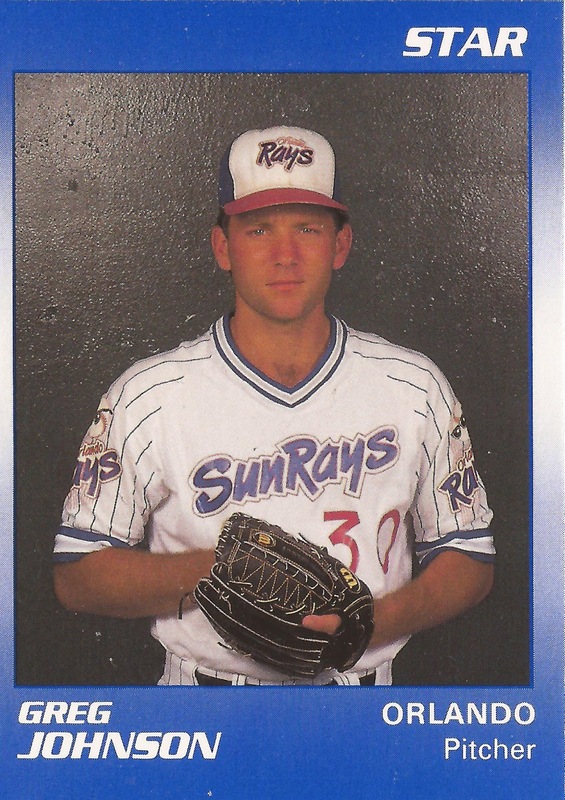 With the Twins, Johnson started 1990 at AA Orlando. There, he amassed 43 total outings, with a 2.93 ERA and 19 saves. It was enough for Johnson to make the league All-Star team, and to be promoted to Portland by late-July. At Portland, Johnson got into 15 games, with a 4.50 ERA. Johnson played three more seasons, 1991 back at Orlando and 1992 at Portland. His career ended in 1993, with 31 games back at AA, in Nashville.